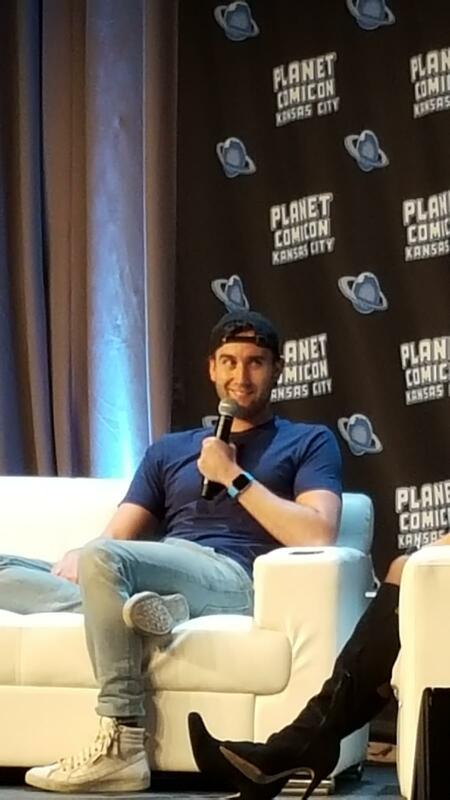 Matthew Lewis, the actor best known to fans as endearing Gryffindor Neville Longbottom, absolutely charmed a Great Hall full of Potter aficionados this past weekend at Planet Comicon Kansas City – and Leaky was lucky enough to be there! 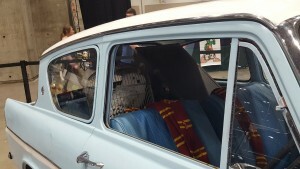 The premiere fan event in its 19th year welcomed thousands of attendees to see many of their favorite creator and celebrity guests from all walks of pop culture including Lewis, who indulged a packed house with stories from his years on the set of the Harry Potter films and his love for the character whose robes he was lucky enough to fill. 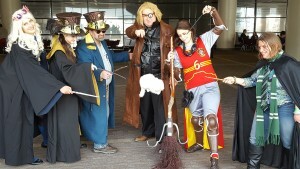 Potter con goers spent the weekend enjoying the 300,000 square feet of art, exhibits and collectibles and anxiously awaiting Lewis’s panel on Sunday in the Grand Ballroom of Kansas City’s Bartle Hall. 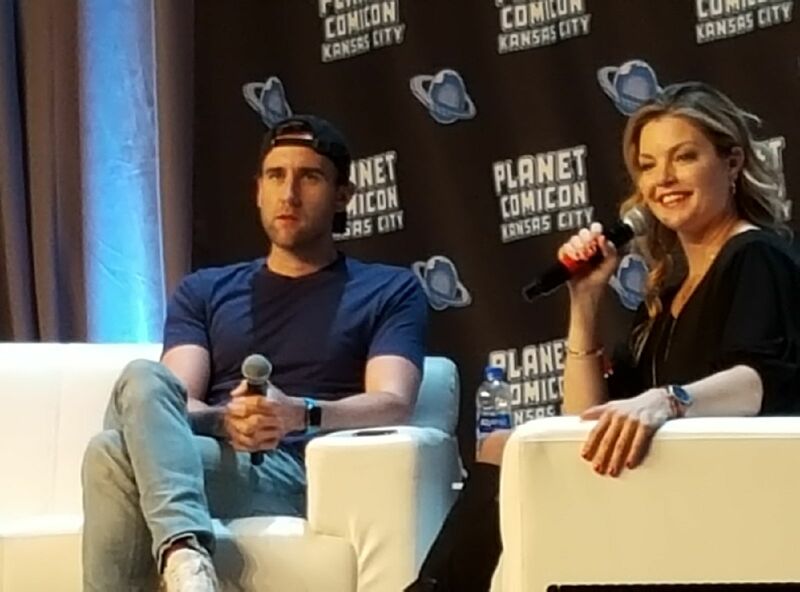 Lewis was ushered on stage by Comicon host, actress Clare Kramer of Buffy the Vampire Slayer fame, who sat down with with one of our Potter favorites to delve into the memories behind the magic and field a few questions from the eager audience, many of whom were decked in full wizarding cosplay. Kramer began the panel by asking Lewis what he thought of Kansas City and his gracious answer seemed to set the tone for session. He explained that he rarely sees the cities he’s invited to, so what he takes away from each appearance are the interactions with the people he meets and thanked the audience for taking the time out of their weekend to come by. Needless to say, he had us all hooked at hello. Kramer then asked if he could have imagined at the start of his Potter journey that it would be the cultural touchstone that it has become. Lewis said that to this day, he is astounded by the phenomenon and found it hard to believe he was in Kansas City sitting in an airplane hangar full of people! “At one of the premieres I spoke to Jo Rowling–you guys will probably be able to put a better timeline on this than I can. 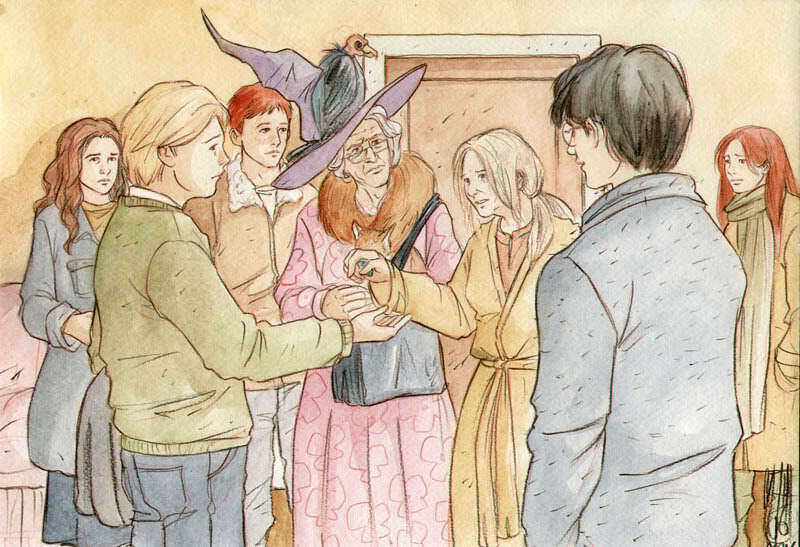 She said she just finished Deathly Hallows, it was locked in a safe in her house in Edinburgh and she had written the most wonderful piece for Neville and I stuck my fingers in my ears and said don’t tell me, I don’t want to know. I’m such a fan of the books, I wanted to read it as a fan. When you’re in a film, as much as you enjoy it, it becomes work and that bit of innocent enjoyment of the source material can get lost along the way. She said okay, I’ll let you find out on your own and that’s what happened”. Our host then asked Lewis what he remembered from his early days on set. 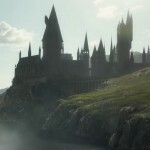 He recalled that his initial scene was filming the young wizards first flying lesson from Harry Potter and the Sorcerer’s Stone with Zoe Wanamaker as Madame Hooch. 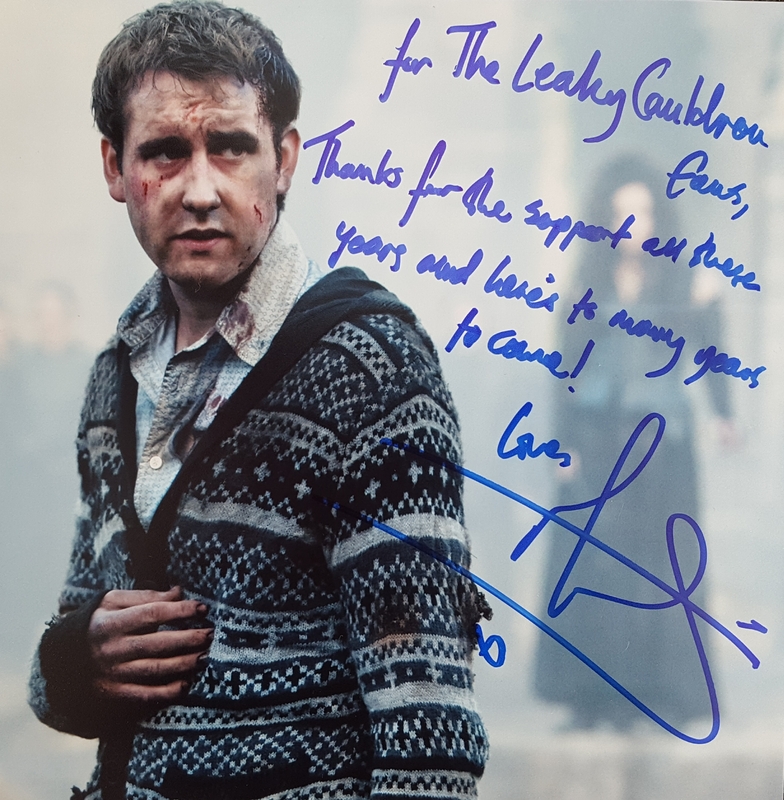 He admitted that he was terrified having the three lead actors he had read about in the news – Radcliffe, Watson and Grint – watch him film his first scene which was completely centered on Neville, but also affirmed his love for the stunts involved. This lead him to recall an incident that occurred while filming the Professor Lockhart Cornish Pixies scene in Chamber of Secrets, when he got stuck on a ceiling chandelier while the harness supporting him was lowering to the ground. According to Lewis he was literally hanging to death by his robe. Luckily, a perceptive stunt coordinator realized something was wrong by the look of his blue lips, and saved the day by holding his feet up until the situation was resolved. 50 points to the stunt guy’s House! The audience then had their shot at some questions for the actor. 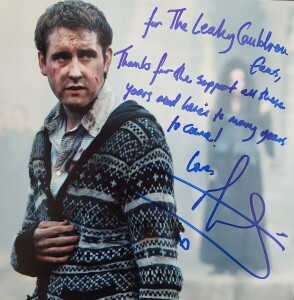 The first lucky muggle up asked about Lewis’s favorite movie that he has acted in, which, not surprisingly, was Deathly Hallows Part 2 partially because of his work with Ralph Fiennes as Voldemort in the Battle of Hogwarts, and also getting to see the bridge to the castle blown up. “We ran the scene and Ralph never took his eyes off me the entire time. 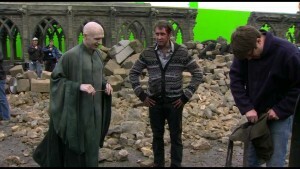 David (Yates) was giving him notes and he’s just staring. He’s got these these intense eyes just staring me out and it worked on two levels; one I was terrified and the other side, that bit of fiesty Neville was like ‘You stare me out, I’m gonna act you off screen, man.’ I still had that kind of fire in me and that was all from him. 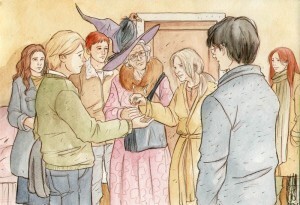 The subject of wands was broached by a curious fan and Lewis confessed that many a wand had broken in his possession when removing them from his robe pocket. 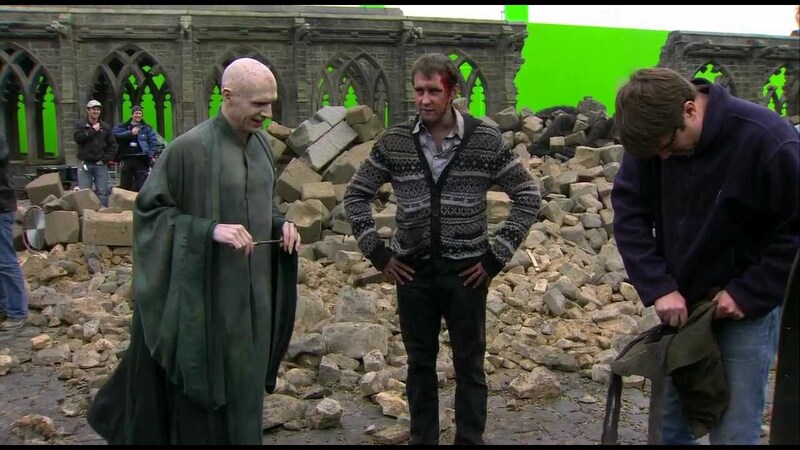 He also shared that a few of the custom dentures made for Neville were also in need of a Reparo spell after he’d taken them out and put them in his pocket, which didn’t go over well with the makeup department. 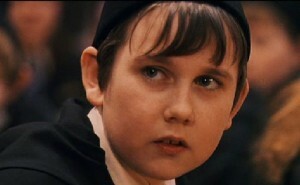 “We learned so much about why Neville behaves the way he does. It would have been seconds on screen with the wrapper, just a tender moment seeing his parents and what that means. He’s not just a good guy, he’s a good guy with a past and a history and he’s looking for some kind of justice. It’s not revenge, it’s justice, and we never really understand that fully. We eclipse it of course, but he never really got that full payoff that he deserved in that respect. “Out of the blue, we got a call from Warner Bros. saying ‘We want you to come meet with Chris Columbus the director to audition for the role of Neville’, and I knew immediately – I love Neville. I love the character. I can’t wait to go and read for that. I probably won’t get it, but I’ll get to go where they are going to film it and meet Chris Columbus who did Mrs. Doubtfire and Home Alone and as an 11 year old, as I was then, I was like, ‘That will do. Maybe if I’m really nice I can be in the background of a scene and I can wear a robe.’ Lo and behold, they thought I could do a bit more than that and they let me be Neville Longbottom, which in answer to your question how did I get it, I don’t know, but I feel very fortunate and lucky that I did or I wouldn’t be here right now”. 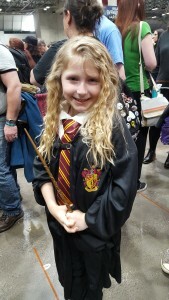 Leaky had a magical weekend at Planet Comicon Kansas City. Much thanks to the organizers of the event for having us and of course to the lovely Matthew Lewis for sharing his time and talent with the fandom. 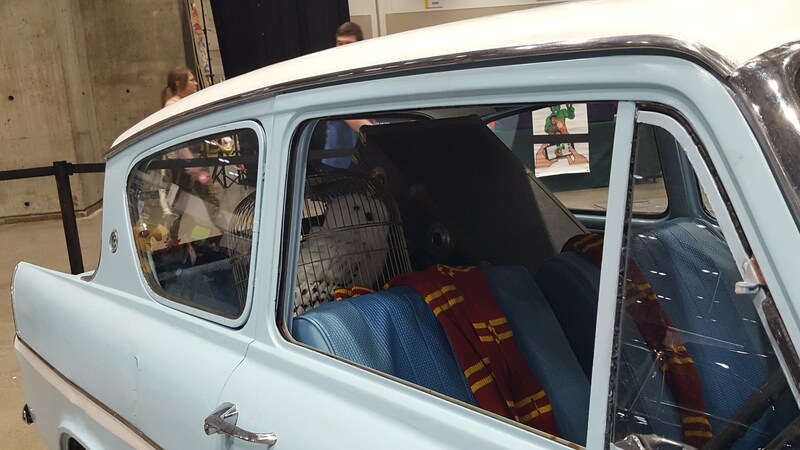 It was obvious to all present that this actor who played such a pivotal role in their favorite series is just as big a fan of the story as we are! 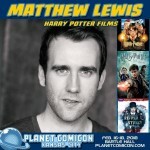 Stay tuned for Part 2 of Leaky’s weekend at Planet Comicon, including our little chat with Matthew Lewis and thoughts on his post-Potter career. Planet Comicon Kansas City will be back for its 20th Anniversary March 29-31, 2019. More information on the event can be found on their website.